Nardwuar The Human Serviette News: New Video Interview: Nardwuar vs. Young Jeezy ! New Video Interview: Nardwuar vs. Young Jeezy ! 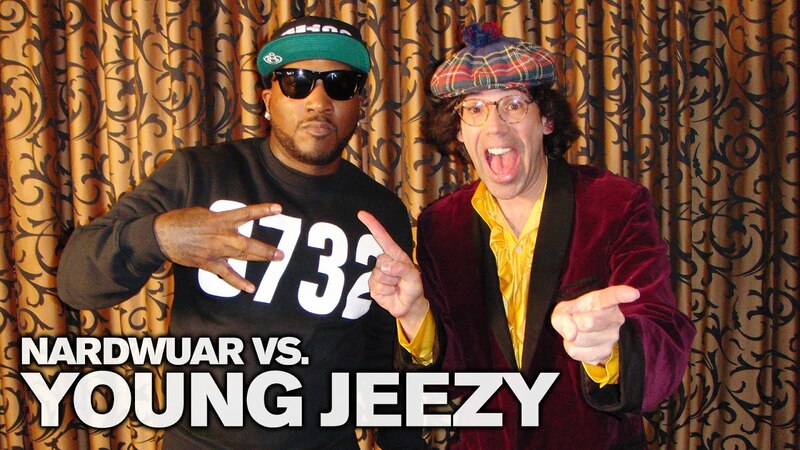 Nardwuar vs. Young Jeezy ! nardwaur, ive watched so many of your interviews it's kind of sick. so good. have you ever tried approaching H.R. from the Bad Brains for an interview? that might quite possibly be the last thing i want to see before i die. please.